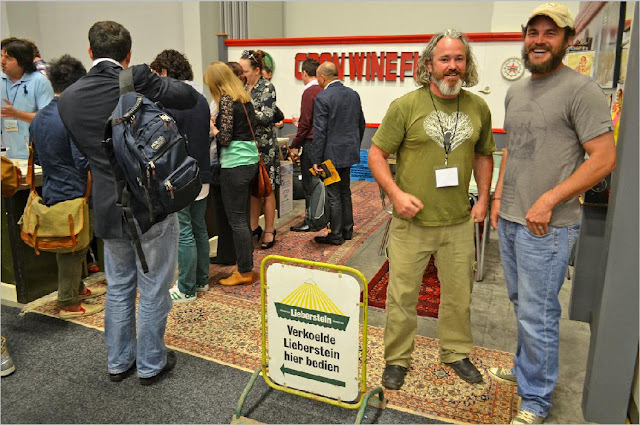 Last week the Swartlanders headed into the big city of Cape Town to show the wines of the Swartland Independent members at the 2012 edition of Cape Wine. 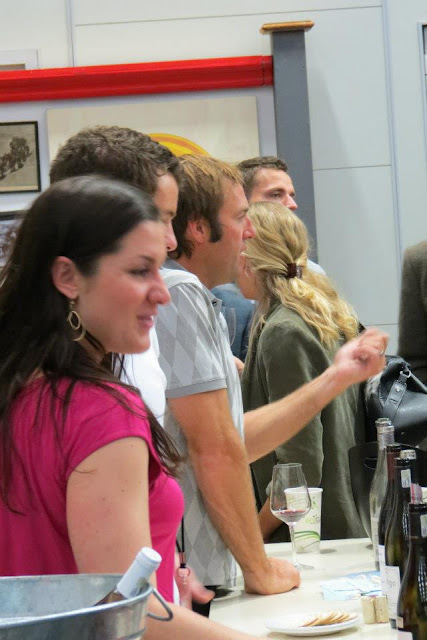 Held at the Cape Town International Convention Center (CTICC for much shorter) this bi-annual event, organised by Wines of South Africa (or WOSA for short) has been praised by visitors from near and far as an excellent showcase of South African wine. 2012 was the show's most successful expo to date with producer exhibitors up 15% and visitors reaching a record at just under 1500. This year had seen the highest turnout from countries in Asia, Eastern Europe and Africa. 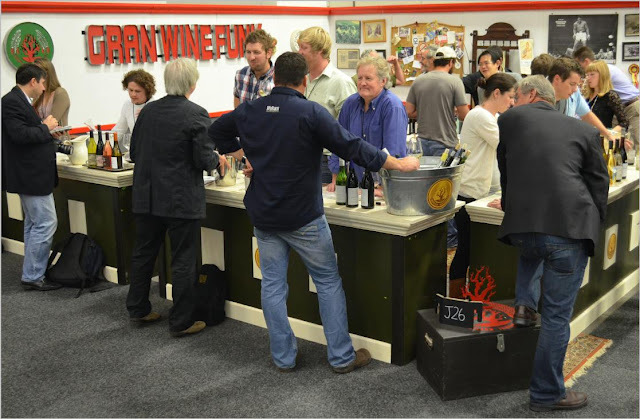 Johann Krige, WOSA chairman, said Cape Wine was now ranked globally as the most successful international wine business show in the Southern Hemisphere. Read more interesting facts here. The Swartland Independent stand proved to be very popular, with wine enthusiasts crowding the space constantly for three days. Carla and Jurgen (Lammershoek) with Eben (Sadie Family Wines) sharing philosophy no doubt. Adi (Badenhorst Family Wines) and Callie (Porseleinberg) in the funky SI stall. Picture with thanks to John Ford, who captioned it "In the Swartland corner, it was exciting and very busy, especially with Adi Badenhorst there to make things happen." Emile on Winegoggle simply says: "Dig the Swartland Grand Funk stand. Mohammed Ali poster and other non-vino artefacts. Cool dudes. I order some chickens from Callie Louw, Porseleinberg. Talk boxing with a chick from the Sandveld, goes by the name of Katrien." Rebecca Gibb says on her blog, "The Swartland has also been turning heads in the past five years and quality of the wines can’t be denied. The Rhone-like blends produced from old bush vines in this Mediterranean climate are original and interesting." She also selected her top 10 from the event and FOUR Swartland wines made it onto the list. From the 1st Revolution, still going strong. Adi Badenhorst, Eben Sadie and David (not related) Sadie. pictures with thanks to spit or swallow. Thanks for sharing this interesting tips, all these pointsprestige distillery must be considered by all of us and take a note of it. I agree completely with the general best rum decanter pairings of red. A very good guide, and so much fun!